The apartment was fully equipped. The apartment is in a very quite neighborhood, very closed to bus station which was a plus for us since we had to take the bus from Vilnius to Riga. Really enjoy the stay there. 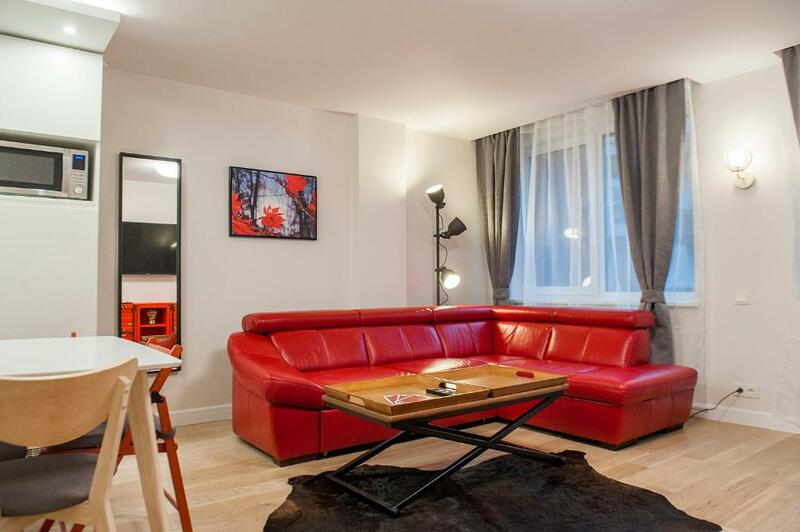 Clean and nicely decorated apartment with almost everything needed. Very close both to central train station and old town, with several grocery stores nearby. Aabsolutely amazing place to stay, everything is perfect. Nothing is missing. Great accommodation. Staff were helpful. The location is very central. Just right. The keys were left in a lockbox outside the apartment and it was very easy to collect, the instructions were slightly confusing as it says enter the first door on the left after going through the entrance gate but it's actually the second door! The apartment was spacious which was great as we were travelling as 2 couples - it had 2 bathrooms so quick for showers in the morning! Quite central. Great Parking. Easy to find. Comfortable beds. We liked everything. Well furnished modern flat, great location. The apartment was cute. The bedrooms were nice.In the kitchen we found all we needed. Since we stayed for a longer time bonus was a washer. Friendly host. Lock in a great price for Natalex Apartments – rated 9.1 by recent guests! 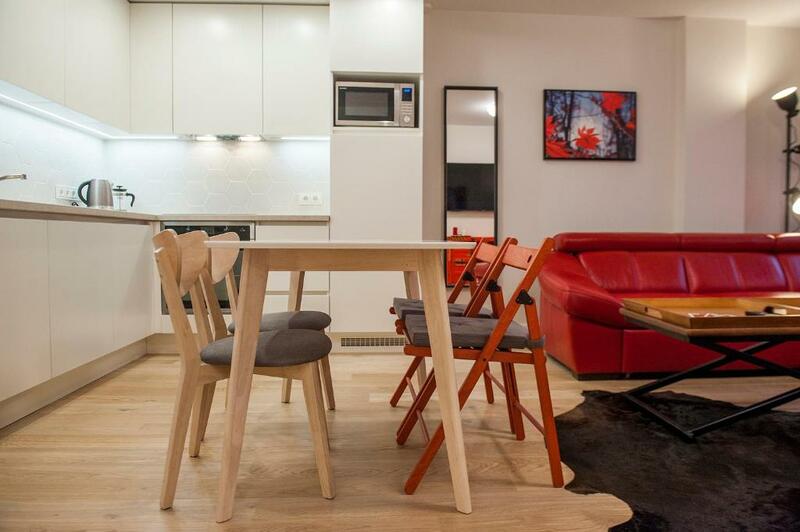 One of our top picks in Vilnius.Natalex Apartments are located in the charming historical center of Vilnius. These spacious apartments with free Wi-Fi are ideal for travelers who require comfort, privacy and independence. Every classic apartment features a seating area. Each has a private bathroom with a hairdryer and slippers, as well as a shower or a bath. 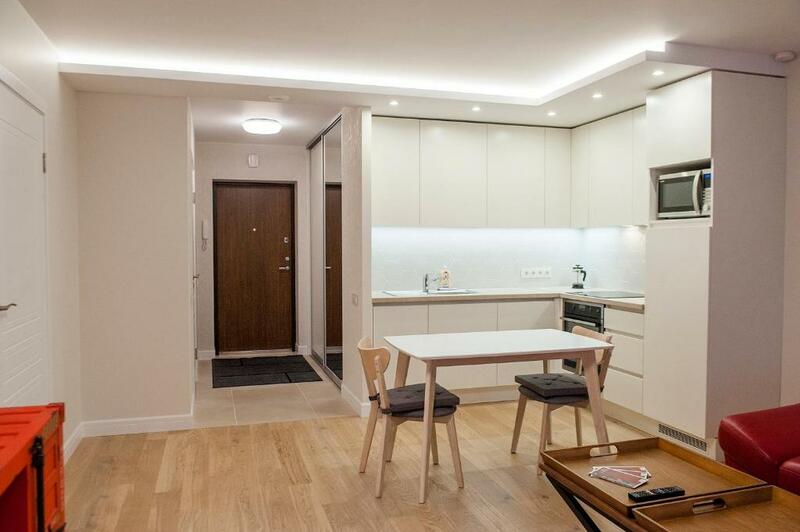 All apartments at the Natalex offer a kitchen or a kitchenette with a dining area, a refrigerator and a stove. The apartments are located about a 10-miunte drive from the Vlinius Airport and the shuttle is available at a surcharge. When would you like to stay at Natalex Apartments? 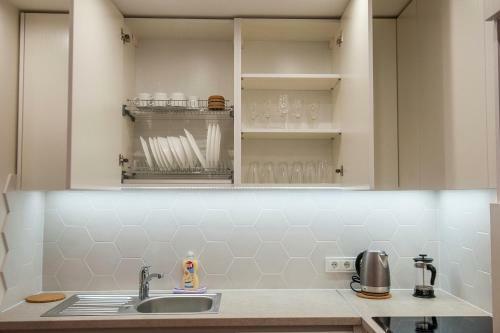 This apartment on 2 levels offers one or 2 bedrooms (the hall can be transformed into a separate bedroom), and is equipped with modern furniture and facilities, including bathroom with massage bath, 2 toilets and 2 showers. Guests can use the free, unguarded parking in the courtyard outside. Located at Pylimo gatvė 44. Entrance from Ligoninės gatvė 9. In addition to the listed facilities this 2-bedroom apartment in the city center offers 2 bedrooms and one hall. Some apartments have free, unguarded car parking in the basement or outside in the closed yard. Located at Šv. Stepono gatvė 29. 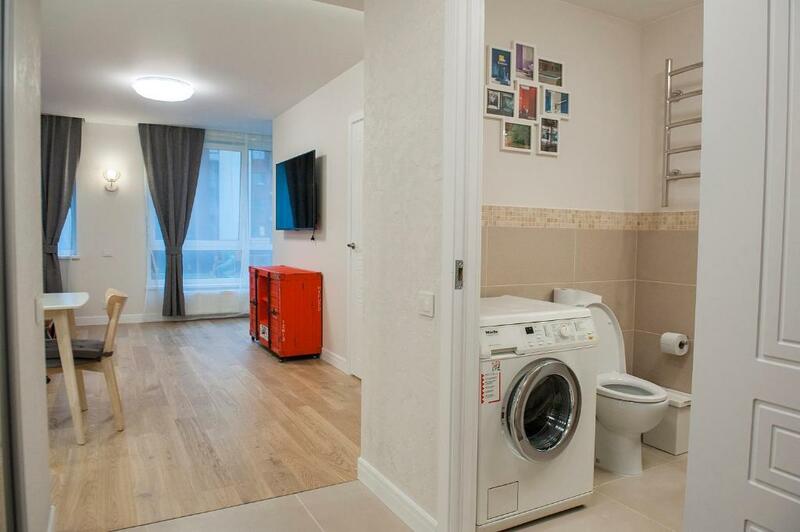 This apartment features a electric kettle, seating area and tumble dryer. This studio has a kitchenware, tumble dryer and microwave. This apartment features a sitting area, kitchen and TV. 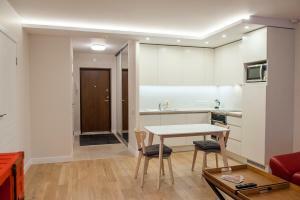 The bathroom has thermostatic rain shower system, heated floors and washing machine with dryer. Our mission is to create a comfortable environment for our guests. We can help with finding any particular contacts (including business issues) and your adaptation in Lithuania. Long-term experience of cooperation with our partners allows us guarantee our clients high quality service for a reasonable price. Many people from various countries have experienced our service and we are at their assistance. 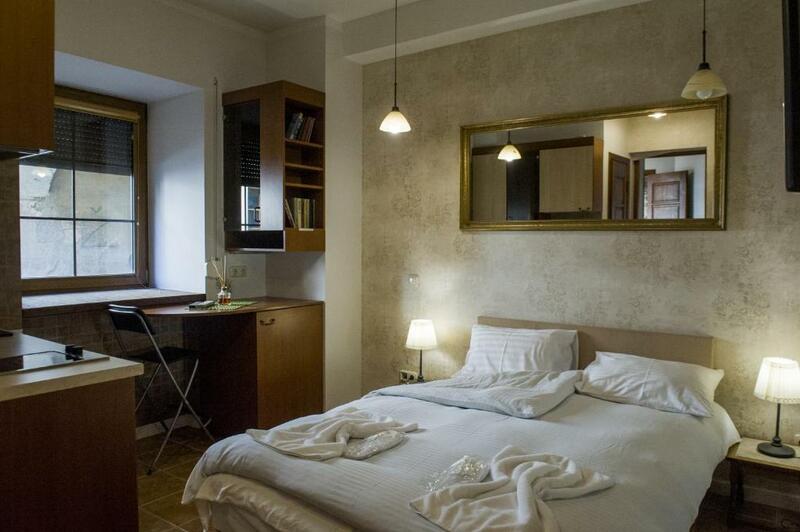 We offer our customers a service that provides comfortable accommodation in Vilnius and other cities. We provide reservation and accommodation in private apartments, houses,we have partners among the big hotels and small hotels. We can arrange excursions or help You with the selection of a place for Your special event. Our apartments are located in the city center and each apartment has different kind of attraction nearby. Some apartments are in the old town, some are in the new city center, in 10 min from the old town. 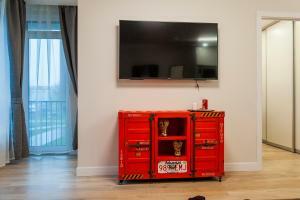 House Rules Natalex Apartments takes special requests – add in the next step! Natalex Apartments accepts these cards and reserves the right to temporarily hold an amount prior to arrival. Keys can be collected at the main office, on Pylimo gatvė 44, which is open from 09:00 until 19:30. Please note that the baby cot has to be requested in advance. Please inform Natalex Apartments of your expected arrival time in advance. You can use the Special Requests box when booking, or contact the property directly using the contact details in your confirmation. The air conditioner is quite noisy. Super clean, good location and new. We knew when we booked that it was a little bit of a walk to the center of town which was fine by us as we wanted a 2 bed apt. If you wanted something central FYI it is a short walk to the bus station but about a 15 minute walk to the old town and longer again to the newer part of town. Clean, perfect facilities, helpful owner. Kitchen a bit dark. Street a bit dingy although apartment building ok, quiet enough though. All of it,just no words. It was hard to find the office since the gate was locked. Good thing I was able to borrow a phone to call the office to get someone to open the gate for me. Some coat hangers would be very handful. Sofa sleeper was not comfy. Cleanliness was not a 100%. Nobody was bothered to meet us and show us the flat or even check if everything is fine and double check if we need anything. You call them that you're at the property and they give you the code for the locker. The checkout works the same way you call them that you are checking out and you put the keys back in the locker. No contact with a real person at all! For 3 days almost we had no wifi. It was not working. I tried to restart the router but it still didn't work. Our neighbours reported the landlords about the problem with the wifi because they had the same issue. Only on the 3rd day somebody fixed that problem even though they knew about it for at least 2 days. Only one large towel per person is given for a whole week. I was wondering what if we would've stayed fro 2 weeks?! They have thought about providing some crockery and other things but not about that those things need to be cleaned as well! You have to wash these in the small bathroom sink there is no soap and no kitchen towels or cloth (unless you want to use your only towel) to wash and dry the dishes. Also no place to put them for drying. Once the bin was full we couldn't figure out where to put the rubbish because there are no bins outside the house whatsoever. That could've been shown to us if somebody would've been there to check us in. Last but not least they don't give any information how it works with the payment. On the website it says you pay on arrival which is not the truth! One week before we went there the charged me one part of the full price already. On the 2nd or 3rd day after we checked in they just took the payment from my bank account without any warning. I am not trying to give a bad impression only because it's a nice room within walking distance to the city centre but be aware of those things if you book the place. Thank you! Room was tidy and clean, larger than we've had expected, very comfortable bed, a big closet and a very nice bathroom with floor heating. It's located very close to the city centre. We didn't had to pick up the keys because they have some sort of locker system that allows you to take out the keys from there once you enter the right code. Towels, house slippers, kettle, small coffee machine, basic kitchen equipment crockery and cutlery are provided.